President Trump blasted his Attorney General Jeff Sessions in the NYT yesterday. 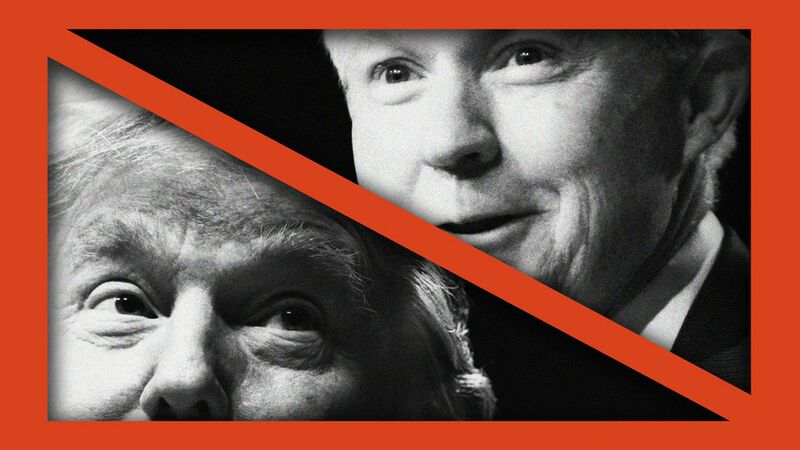 Republicans are speculating about whether Trump is laying the ground to get rid of him, or prodding him to resign, but the reality is Trump has almost zero leverage over Sessions. Trump's aides will surely help the President understand what would come next after such a decision, and it's not pretty. If Sessions resigns, Rod Rosenstein is acting AG. Does Trump want him to resign too? Then it would be Rachel Brand. She's no puppet, either. And good luck, Mr. President, in getting your new AG nominee through the Senate. Moderate Republicans would feel a lot more pressure this time around. Remember who introduced Sessions at his confirmation hearing? Susan Collins. 1 out of 3 senators who could easily vote against confirming a new AG. Lastly, what would all the other AG nominees do? And US attorney nominees? It would be a political disaster.